What is a Business Broker / Business Intermediary? A Business Broker is an individual who works with either buyers or sellers of businesses to help them realize their goals. The Business Broker determines the value of a business, determines whether or not a sale makes sense, and recommends the proper terms and structure for the sale. The business broker can handle the various aspects of a transaction including developing a marketing plan, executing the plan, locating and screening potential buyers, and negotiating the price and the terms of the sale. Finally, a broker maintains a network of contacts in the business community that provide information about confidential situations that are not available through public channels. At the end of the day, the main reason to use a business broker is your bottom-line. The process of buying or selling a business requires dedicated, professional attention. Marketing and facilitating a business transfer is a full-time job! You deserve someone who will work as hard as you do. A qualified Broker will save business owners money by helping them to avoid costly mistakes, effectively marketing the appeal of the seller’s business, and maximizing exposure to serious, qualified buyers–all with complete confidentiality. In every-day life your home and your automobile are rightly assumed to be your largest assets. However, when it comes to business ownership, the business value usually takes first place. Therefore, you want to secure the best possible advisor for the sale of your largest asset. A business broker adds tremendous value to the sale of a business. The process of selling a business can be time consuming. Thankfully, for your business broker it’s not the first time. Business brokers have the experience to navigate the process of selling a business, and will guide you through it. Even more important, business brokers know how to properly value businesses and structure terms to ensure that you get the best deal possible. For sellers, using a business broker will result in more buyers, which will create a more competitive environment in the bidding process. Also, a business broker will know how to identify the right buyer – the one who truly understands the value of your business. Using a business broker will mean having an experienced, knowledgeable partner representing you in the transaction. You will leave the transaction confident that you got the best price and the best terms possible. Business brokers have the knowledge and experience to help you reach your goals on the best possible terms, with the best end result for your bottom-line. If you are seriously considering selling a business don’t take any chances – put the experience of an Atlanta Advisory business broker to work for you. The answer is clear: The sale of your business demands a professional, just as running your business has demanded a professional. Atlanta Advisory has the expertise, tools, and connections to market and sell your business successfully on a national basis. We work very hard to protect your business investment and maximize your net after-tax profit on the sale. It is to our advantage and yours to obtain the best possible price that a reasonable buyer will pay. We pledge to maintain high ethical standards and open and honest communications in all of our business relationships. Several factors come into play. Two of the most critical are price and terms. Over eighty percent of all businesses sold above $100,000 are sold with one-third or less down and the owner financing the balance. Asking for one-half down will reduce the price by approximately twenty percent. Asking for cash will reduce the price to forty to sixty percent of the one-third down payment price. Competition among buyers creates higher selling prices. When a business is over-priced or the owner does not offer reasonable terms, there will be few, if any, buyers interested in acquiring the business. When a business is priced realistically, and with proper terms, several buyers are likely to pursue acquiring the business. A buyer who knows he has other buyers competing for the business will be highly motivated to offer the price being asked to ensure he does not lose the business to another buyer’s better offer. Getting a valuation for your business also (obviously) affects the selling price. Not only will you get a true value of your business, but when it comes time for negotiations, the buyer has much less to haggle about. In fact, when a business has been valued the business will usually sell for listed (valued) price. Unfortunately, for businesses that have not been valued, they usually sell for around only 75% of their listed price! So, if you want to make sure that you get the highest possible price for your business, make sure you get it a professional valuation! The advertising of each business will depend upon the size and type of business and the number of potential buyers in our data base. Affiliates use the Wall Street Journal and buyers from other affiliate offices, plus our data base of over 1,000 investment groups to sell their larger listings. We try to use local newspapers as little as possible because it is extremely difficult to protect confidentiality when a business is advertised locally. Affiliates also use other top business listing sites on the Internet. The first thing you need to do is offer the business at a realistic price and with reasonable terms. You need to provide as much information as is possible to the broker so a professional marketing package can be prepared on your company. The quality of the business profile will greatly enhance the salability of your business. An Atlanta Advisory prepared package will contain twenty-five to sixty plus pages of information. Informed buyers make better offers. If you do nothing else, at least get a professional valuation! Continue to run your business in a normal manner. Keep the business clean and organized so potential buyers will like what they see. Liquidate or set aside obsolete inventory and unneeded equipment before you place the business on the market. Notify your broker of any material changes in your business. Forward monthly financial statements to the broker as soon as they are completed. This will keep your marketing package current. Do not meet with potential buyers without your broker being present. Avoid direct negotiations. All offers and counter-offers should be in writing and should be presented by the broker. Only with your help! A broker cannot really sell your business because he does not know how your business operates. A professional broker’s initial job is to get a business listed at the best possible obtainable price and with realistic terms of sale. The next job is to qualify buyers to keep you from wasting time with people who are not financially qualified to meet your requirement. Qualified buyers will be presented your business profile after they have completed a Buyer Warranty and Confidentiality Agreement. 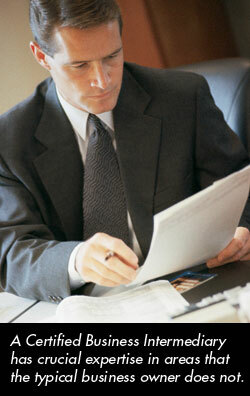 The broker will then schedule a meeting between the business owner and the interested buyer. The business owner will explain and ‘sell’ the business to the buyer. After this meeting, the broker will work to get a written offer to purchase. The broker will then present the offer and after acceptance will coordinate the due diligence process that will lead to the closing. We will gladly answer your questions. Feel free to contact Atlanta Advisory. How do you prepare and provide the information a prospective buyer will require to interest him in pursuing your business in favor of other options?